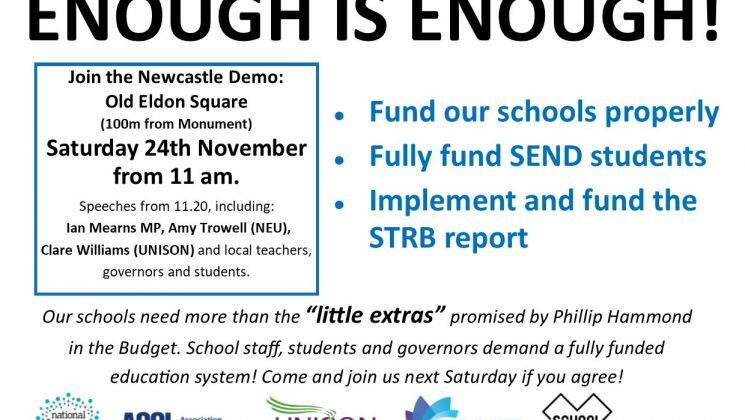 A demonstration calling for proper funding for our schools is taking place tomorrow (Saturday 24th November) in Old Eldon Square, Newcastle from 11.00 am. 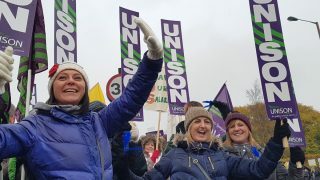 Our schools need more than little extras promised by Phillip Hammond in the recent budget and Education trade unions together with UNISON are coming together to demand a fully funded education system. 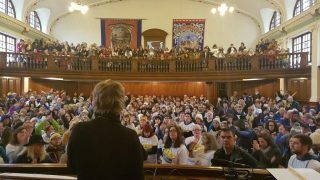 Speakers include Clare Williams, Regional Secretary and Ian Mearns MP. We want to see as many UNISON members and their families coming along to this event to show their support and solidarity.